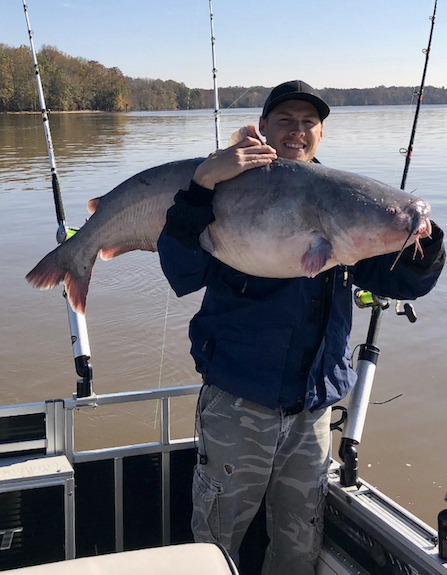 Big catfish are the topic this month on the Angler Qwest Podcast as we talk with Kaleb Page of Catch The Fever catfishing gear. Kaleb uses his Angler Qwest to target monster cats. He says fifty pound fish are common, with some tipping the scales at more than a hundred! Page and boat designer Brad Dupuie discuss catfishing techniques and the details of what makes a good catfish boat. That and more on this edition of the Angler Qwest Podcast. This is the official podcast of Angler Qwest boats. Angler Qwest pontoons are built by fishermen, for fishermen.